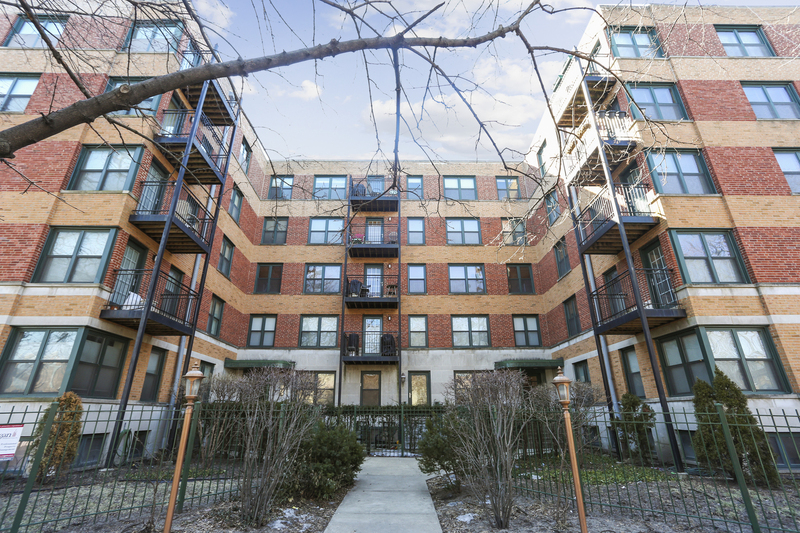 Lincoln Square/Budlong Woods split 2 bed, 2 bath condo steps from Lincoln Avenue. Full southern exposure makes this great find sun-filled throughout the day. Deck off the kitchen, large living room, sunsets seen from the master bedroom and the kitchen, 1-car space, storage, elevator, corner unit. This unit has two bedrooms on opposite sides of the condo. Original owner. Pet friendly building.